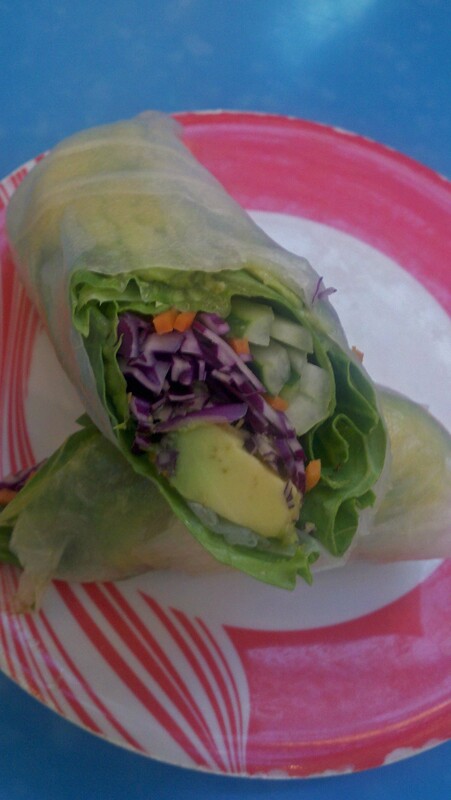 It’s my first (and probably last) What I ate Wednesday Post. Because well-it’s not even what I ate today and it’s not even everything. It’s just highlighted eats from my traveling to NYC for my race last weekend. 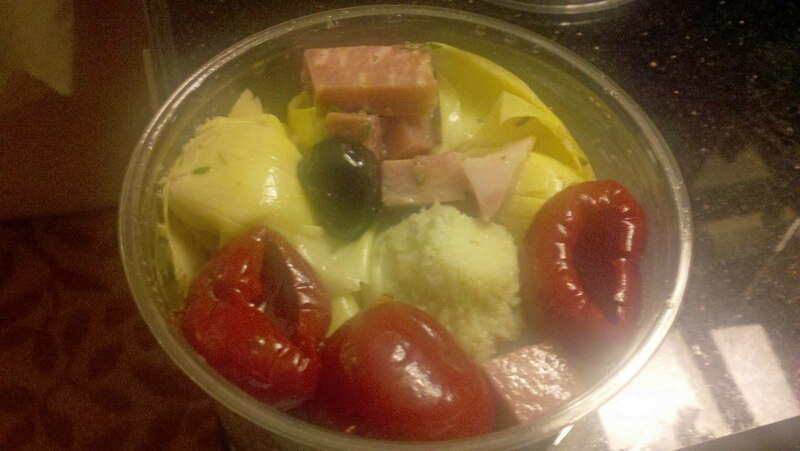 Before we left I stocked up on 3 pounds at the Farm Fresh Greek Food Bar. I ate it all in the car. I was basically in love with Greek baby all eight hours of the drive. They had this adorable Build Your Own Salad Bar near my hotel at the West Nyack Mall. Go to New York City and go make your own salad. I bought two-one for lunch and one for road lunch. 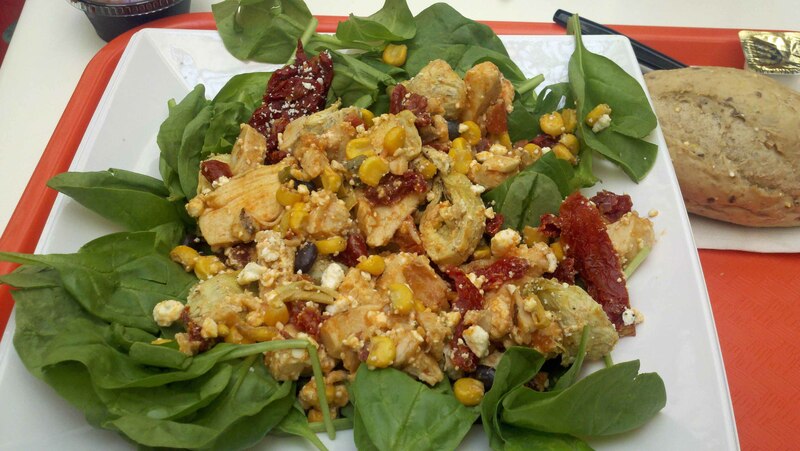 Spinach, corn, sundried tomatoes, chicken, feta cheese. If I had a favorite salad it would combine these things. This was at a buffet. I had no idea how to eat it. So I didn't....I did take a picture. But don't worry mom-the daddykins and I were good and we didn't play with our food. He just sat there. Okay now to the best part. I may or may not have mentioned I lived in Japan for 2 years (The daddykins ran some ships off the coast of Okinawa, Japan). It made me love sushi. Like love. There was always this little restuarant that my parents loved to go too and my brother (when he was about 5) nicknamed the “Sushi-Go-Round”. Oh to this day we still don’t know the name. But anyways the sushi goes around on a conveyerbelt and you just grab what you want. 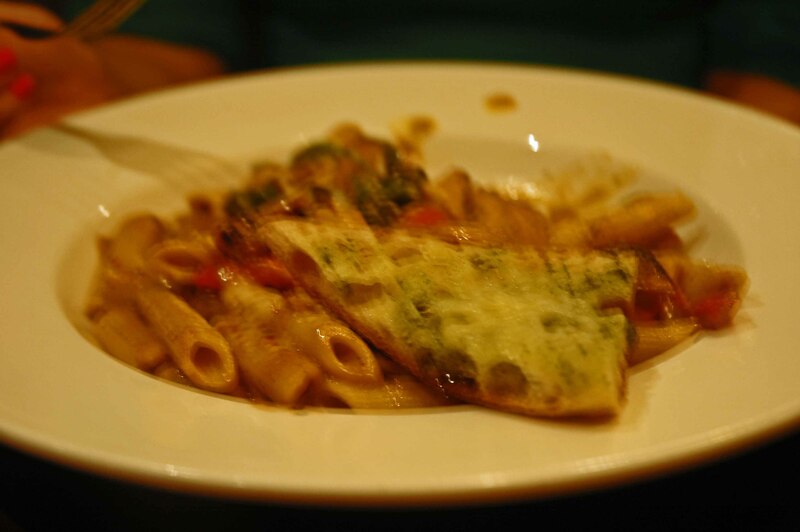 The price depends on the plate, like blue plates were 3.00, red 4.00…ect. Well we finally found one in the US. I had to stop. Actually that is a dirty lie the daddykins asked if I wanted to try it and I was like hell yeah. 4 letter words were common in our car ride adventures. I'm so sneaky...I snapped this from the balcony. Oh and PS: If you can figure out the last part (or close) of the acronym in my title (it does use a phrase I use quite often), I’ll send you some delish pancake mix that I have errrday so we can be twinnies. I hope it doesn’t look like anthrax. Come to VA. We can go on a bloggermeetupsushidate. Sushi is a yay in my book! Sushi = yay! Love the balcony photo! Sushi = yay. And you have to come to philadelphia where we have POD. It’s a Stephen Starr restaurant with a conveyer belt and you get to sit in these pods that change colors and make for some really fun photo montages. Then we can go get greek food too, because greek food babies are my favorite. No clue what BIAADL means! 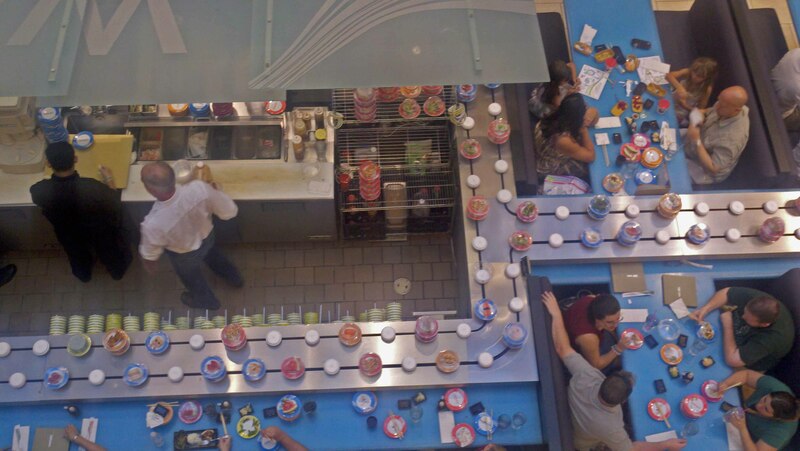 That sushi conveyor belt place looks so cool! Jason would love it. I’m jealous that you got to live in Japan for 2 years. I love everything about the Japanese culture and I also studied Japanese for 4 years! BAHAHA. 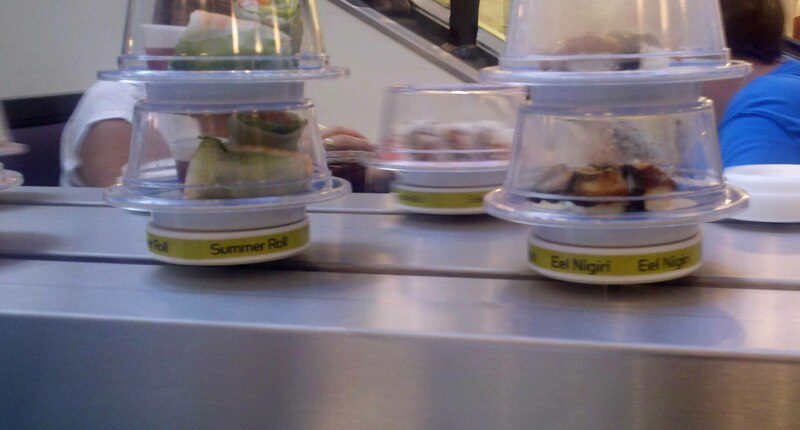 Sushi train. I love it. sushi is ok. not my fav. looks good on here though~! But I’m Always a day Late? That sushi place sounds amazing….sushi is one of my favorite foods so having an unlimited amount rotating around my face would be pure heaven!!! but i actually ate donuts later! nono i think youreee right! Sushi is a major yay. We have so many out here in Portland. There is this one place downtown and all the plates are one dollar. They were all different prices before then they just made them one dollar. Suuuweet. Is it “Beacuse I Ate All Day Long” or “But I Ate All Day Long” ? I hope I am close other wise I feel really stupid! I have a new found love for sushi but I don’t think that place would be good for me because I can’t eat avocado so basically all sushi I eat has to be made fresh..which makes me sad because that means I cannot conveniently grab some, it’s kind of a dinner out kind of thing. However, I will go get some good grub with you anytime you want! Yummmm. Sushi = big big yay. YAY. Andddd I could take a lot of random guesses at BIAADL, but they’d prob be wrong. 🙂 They’d be ridick and funny, but wrong. Sushi is totally a YAY! I could eat like 5 million pieces when my sister makes it. Nom. Nom. 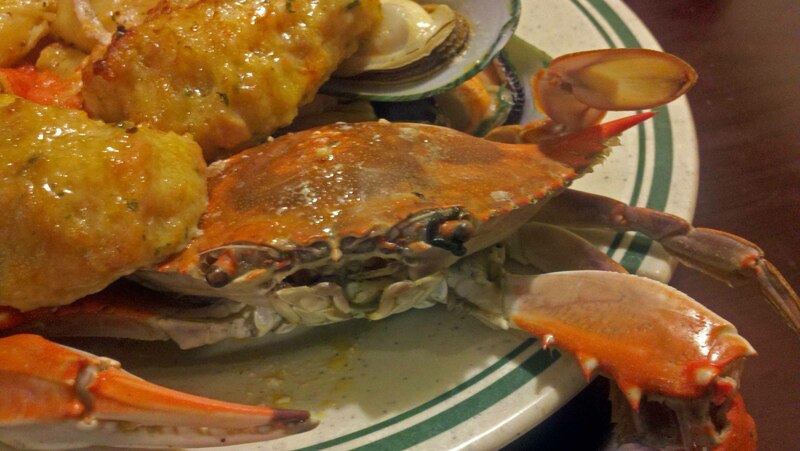 Love the picture of the crab. I have never tried sushi! I don’t know whether or not I would like it…I am pretty picky! NYC looks amazing! I LOVE it there. And sushi gets one big ‘yay’ from me! is it creepy that ive eaten at THAT sushi spot? NOOO. Do you live around there? Can we go on date there. I’m totally game for driving up again. So good. So did anyone ever guess right what this meant? !